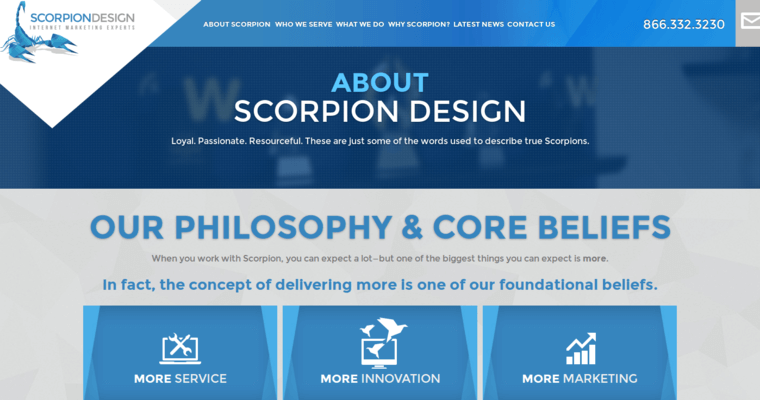 Scorpion Design creates websites for all sorts of businesses, but they primarily take on lawyers and law firms as clients. 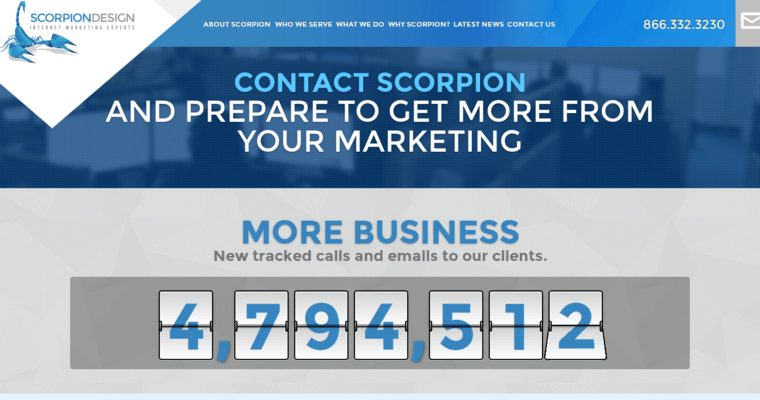 This firm takes an aggressive approach to online marketing and covers all of the bases, in order to make sure that clients are promoted as much as they could possibly be in order to get the maximum number of clients of their own. 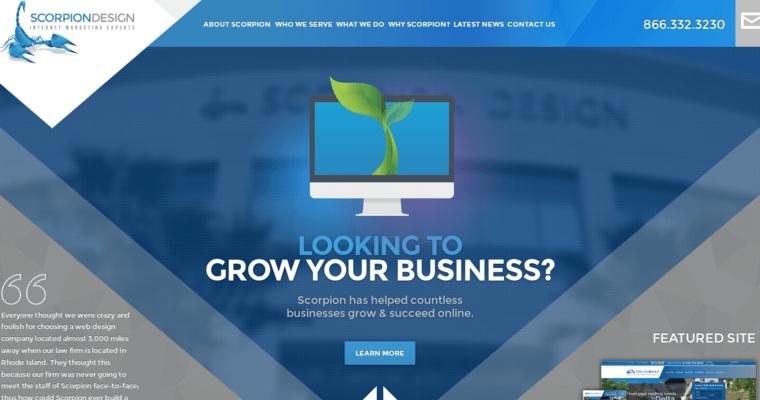 They help clients establish strong and positive web presences that will get them new clients in new business. They do this not only through designing websites that incorporate all of the latest technology and are appealing to clients, but they also help their clients create strong and effective social media presences and employing SEO techniques that will keep their clients at the tops of search engine results lists. This firm knows exactly what it is doing in terms of promoting and maintaining the success of its clients.